Fetch ‘n’ Fun Wellness and Daycare is the newest member of the Animal Antics family. Doggy Daycare is the perfect solution, it helps maintain good physical & mental health, develops excellent social skills, builds confidence and eliminates owner-absent behavior problems. 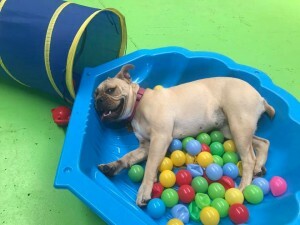 Whether you have a dog with energy to burn or a snuggly dog who loves to get lots of cuddles and company, our doggy daycare is for YOUR fur-baby! Our mission is to deliver superior pet care services that will foster happier and healthier dogs, while improving the quality of life for both dogs and the owners who love them. We are a 100% family owned and operated Australian small business and are proud to serve our community. Contact us now to book in an assessment day for your furbaby!